Two Engines. One Champion. No Limits. 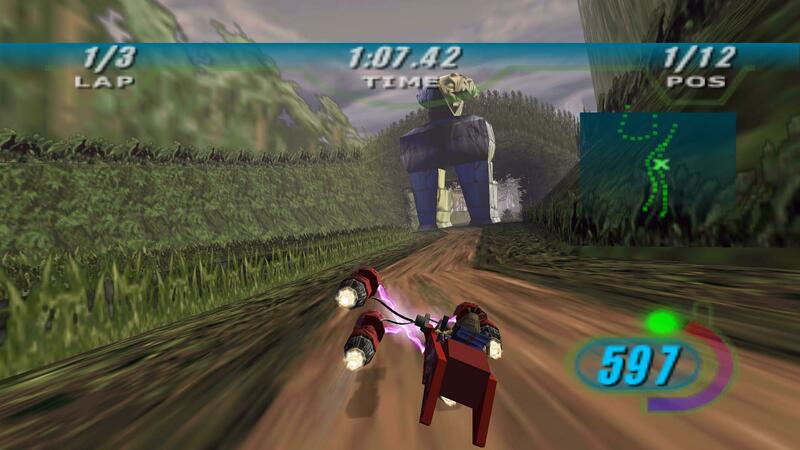 Climb on, strap in, and experience the pure adrenaline-pumping excitement of the Podracing sequence from STAR WARS™: Episode I The Phantom Menace. 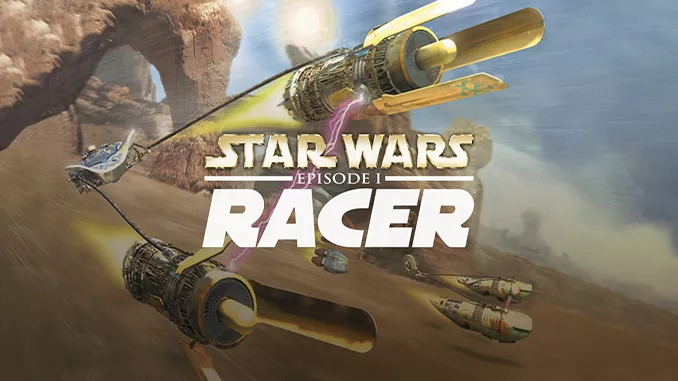 Take the controls as Anakin Skywalker, or any one of over 21 Podracers, and feel the full-force blast of two massive jet engines at simulated speeds of up to 600 mph. Rein in a turbine-driven chariot through 8 spectacular worlds. Negotiate through flaming methane lakes, Tusken Raider assaults, ant-gravity tunnels and much more in a pulse-punding, do-or-die fight to the finish where anyone will do anything to cross the finish line. How far will you go? 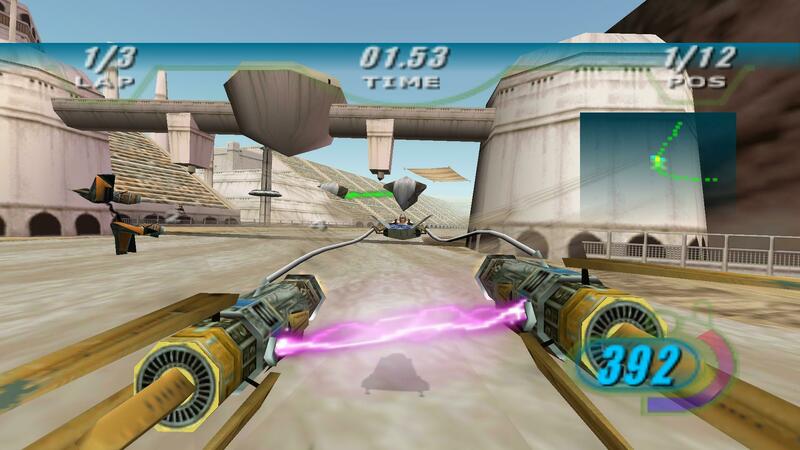 – Relive all the thrill and excitement of the Podracer sequence from STAR WARS™: Episode I. – Hang on tight – with afterburners on, Podracers max out at a simulated 600 mph! – Race in furious competition against 21+ opponents. – Take on over 21 tracks on 8 unique worlds! – Avoid hazards such as methane lakes, meteor showers and Tusken Raiders. – Vehicle sound effects and epic soundtrack taken directly from Episode I. 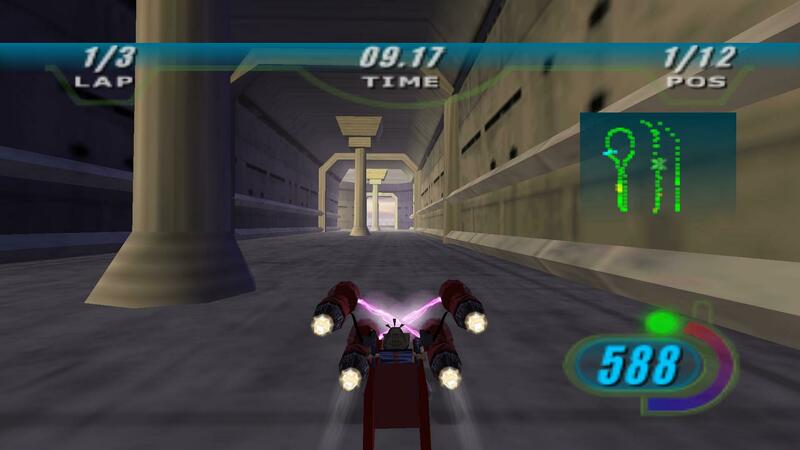 Is this the same Nintendo 64’s Star Wars racing game? I played it on a small gaming convention we had in my town and I absolutely loved it! How do you make it 1080p? If it is the same game, then the old strategy guides would still work? I believe there was a couple published back then. How do I solve this problem? Because I can’t even get into the game itself.